Competitive synchronization among synfire chains may model the dynamics of binding and compositionality. Typically, such models require simulations of hundreds of thousands of neurons. 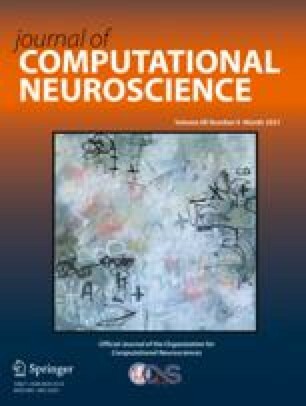 Here we show that the behavior of such large systems can be numerically analyzed by representing the neuronal activity in a synfire chain as a wave. The position and velocity of waves are the only parameters needed to represent the neural activity within a synfire chain. With this wave model we describe how waves are generated, decay, interact within a single chain and among chains. The behavior of the wave model is compared to the behavior of detailed simulations of synfire chains with no qualitative difference. We show that interacting waves tend to become locked to each other (wave synchronization). Finally we prove that: (1) Within a system of many synfire chains with symmetric interchain connections, as long as waves do not fade away or become fully synchronized, the total synchrony among waves can only increase (or stay constant), but never decrease. (2) A wave that increases its speed during the synchronization process becomes more stable.